The government – especially local government – is one of the biggest reasons for the slow rollout of fibre in South Africa. This is according to SEACOM’s chief development officer Suveer Ramdhani and CipherWave managing director Wayne D’sa. 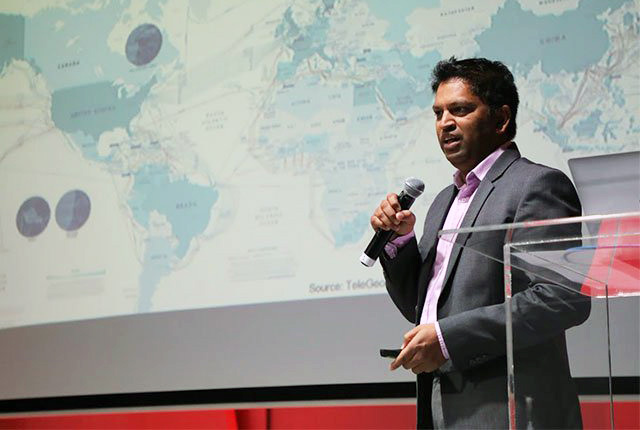 Speaking at the 2018 MyBroadband Fibre Conference, Ramdhani explained that when fibre started to gain momentum in South Africa, municipalities tried to get involved. Instead of assisting private enterprises to roll out fibre networks in their municipalities, the municipalities wanted to roll out their own fibre infrastructure. The argument at the time was that the municipality would trench and build ducting which all fibre players could use. A single duct makes sense and can reduce costs, but there was a big problem – municipalities did not have the skills to execute their plans. Instead of admitting that they could not roll out fibre infrastructure, local government stubbornly fought against private companies rolling out fibre in areas which they controlled. Msunduzi Municipality, for example, went as far as approaching the courts to block DFA from rolling out a fibre network in its municipal area in 2014. DFA ultimately won the legal battle and described it as a victory for the South African fibre industry. At the time, it hoped the victory would enable more beneficial engagements between telecommunications operators and municipalities. Municipalities hampering the rollout of fibre in their jurisdictions has kept back the industry for years, and means many consumers are still waiting for fibre today. While the problem of local governments blocking fibre operators from rolling out networks is mostly resolved, it does not mean it is all smooth sailing across the country. D’sa said the tedious and costly process of getting way leave approvals is one of the biggest challenges faced by fibre operators currently. The way leave application and approval process can take months, which puts financial strain on fibre operators. Consumers are often not aware of the bureaucratic processes involved in rolling out a fibre network and therefore become frustrated when they do not receive their connection. Making matters worse is that the City of Tshwane recently published a big increase in fees to roll out telecoms infrastructure. New rules were also laid down. According to TechCentral, FTTX Council non-executive director Mike Silber said the “city’s new integrated development plan will make it more expensive and onerous to deploy new telecoms networks”. This will significantly hurt the rollout of fibre networks in the city, especially in lower-income areas.